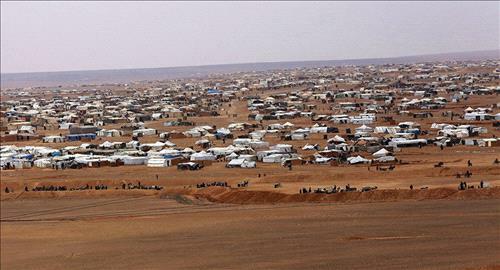 AMMONNEWS - The Jordanian authorities refuse to allow Rukban camp refugees from the neighboring Syria to enter the territory of Jordan, the joint statement of the Russian and Syrian interdepartmental coordination staffs said Thursday, urging Amman to reconsider its position on the problem and let the refugees into the country. "We hope our Jordanian partners will further implement humanitarian initiatives on returning Syrian refugees and participate in resolving the Rukban camp issue, thus contribute to overall stabilization of the situation in the region, something Jordan is interested in," the statement added. Russia and Syria called on the United Nations to bring to the attention of the United States that the existence of such facilities as the Rukban camp is inadmissible and to contribute to the solution of the Rukban problem. In January, the World Health Organization (WHO) described people living in the camp as "trapped," adding that they live "in deplorable conditions." Limited water supply, bitterly cold weather and poorly functioning health care facilities contribute to the rise of diseases, which include influenza, measles, tuberculosis and chronic respiratory diseases, the WHO stated. The Rukban camp, which houses about 40,000 displaced people, is now the US-controlled zone, which is located in the southern part of Syria, not far from Jordan.